This year's installment to the Call of Duty franchise, Black Ops III, has just hit stores, and is predictably flying off shelves. As with every ceremonial annual release, Black Ops III raises the visual presentation standards for the franchise. There is, however, one hitch with the way the game deals with system memory amounts as high as 12 GB and video memory amounts as high as 8 GB. This hitch could possibly be the reason behind the stuttering issues many users are reporting. In our first play-through of the game with its highest possible settings on our personal gaming machines - equipped with a 2560 x 1600 pixels display, Core i7 "Haswell" quad-core CPU, 12 GB of RAM, a GeForce GTX 980 Ti graphics card, NVIDIA's latest Black Ops III Game Ready driver 385.87, and Windows 7 64-bit to top it all off, we noticed that the game was running out of memory. 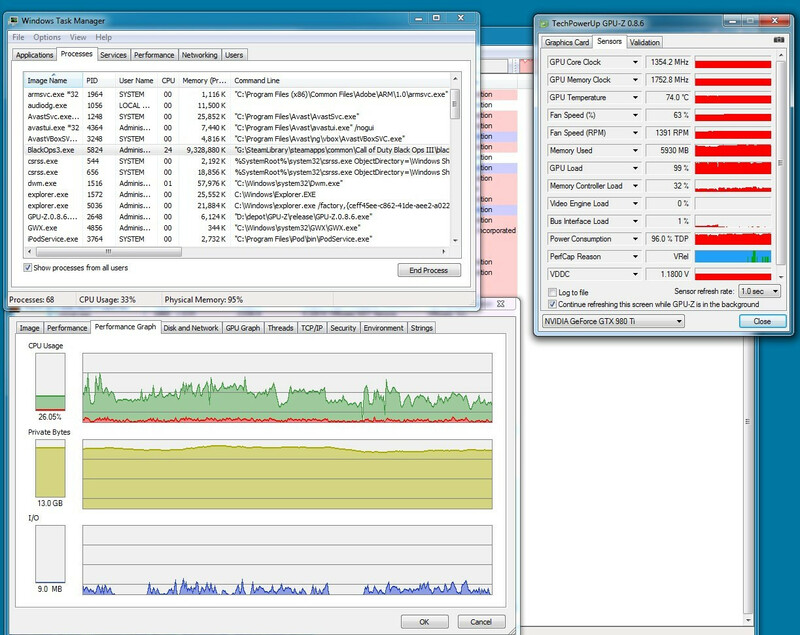 Taking a peek at Task Manager revealed that in "Ultra" settings (and 2560 x 1600 resolution), the game was maxing out memory usage within our 12 GB, not counting the 1.5-2 GB used up by the OS and essential lightweight tasks (such as antivirus). 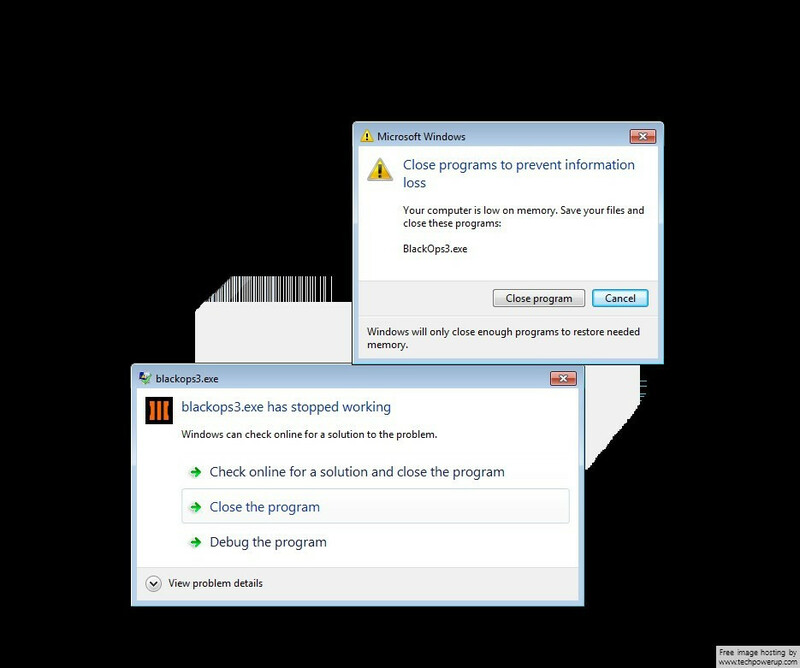 We also noticed game crashes as little as 10 seconds into gameplay, on a machine with 8 GB of system memory and a GTX 980 Ti. 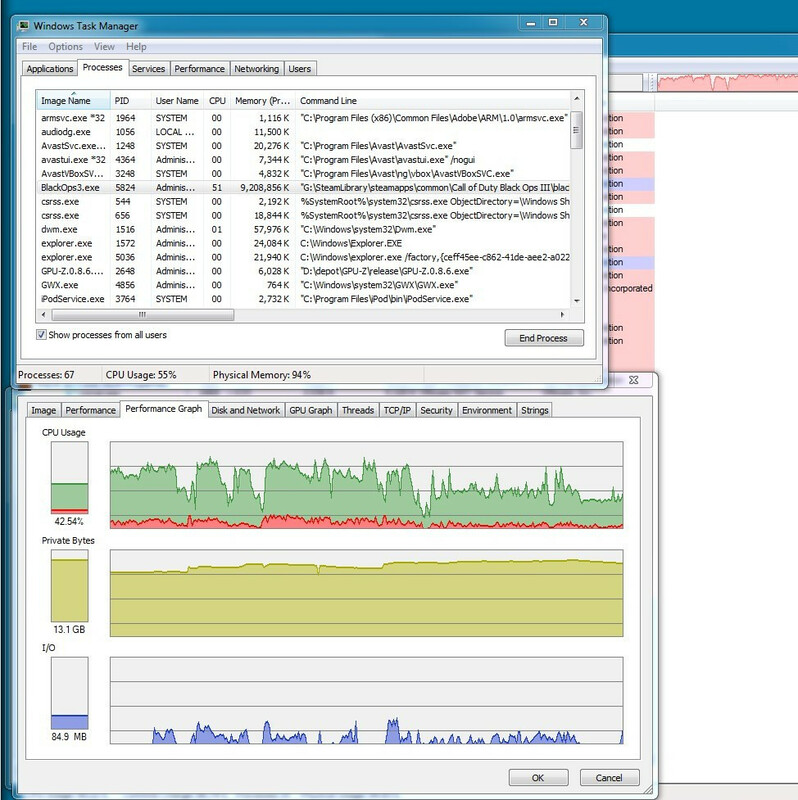 What's even more interesting is its video memory behavior. The GTX 980 Ti, with its 6 GB video memory, was developing a noticeable stutter. This stutter disappeared on the GTX TITAN X, with its 12 GB video memory, in which memory load shot up from maxed out 6 GB on the GTX 980 Ti, to 8.4 GB on the video memory. What's more, system memory usage dropped with the GTX TITAN X, down to 8.3 GB. 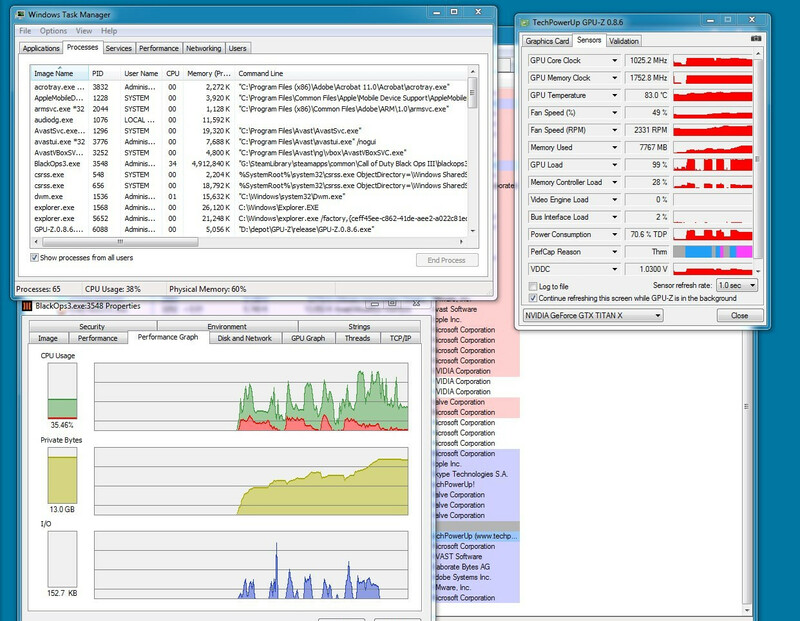 On Steam Forums, users report performance issues that don't necessarily point at low FPS (frames per second), but stuttering, especially at high settings. Perhaps the game needs better memory management. Once we installed 16 GB RAM in the system, the game ran buttery-smooth with our GTX 980 Ti. Didn't know the CoD Series was still a thing. Its not really, its just a money grab at this point. Definitely not even thinking about picking this game up, especially after seeing this crap lol. Certainly not upgrading anything in my system to play a new call of duty game. The originals were amazing games. But like I said, its just a money grab now. I would like to see a remake of a WW2 game, only problem is they will never make another call of duty with the COD2 layout. I WANT a custom server browser..... Not some lame matchmaking non-sense. Agreed, this is just absurd. Ye... the last CoD i played was the very first one. I remember playing the Demo over and over at the time, was such an epic experience. As bad as WW2 was, it just has an awesome vibe to it. One thing is pushing the limits and another just being lazy. Craming gazillion textures and polygons in engine and requiring super computer is just moronic. It just means they put ZERO effort in designing the engine, they just crammed everything into it. That's why Unreal Engine 4 runs on pretty much anything no matter what even with most likely same fidelity as this CoD. How on earth did they pull this off? Did they just decide to load the entirety of the game into the RAM and VRAM? COD BLOPS3: the new Crysis. What about Windows 10 or even 8.1? Crysis wasn't so hungry for RAM/VRAM, just GPU horsepower. Than I did with an I5 3570k with a R9 280x.. I know I know. I'm just abusing the can it run Crysis joke. 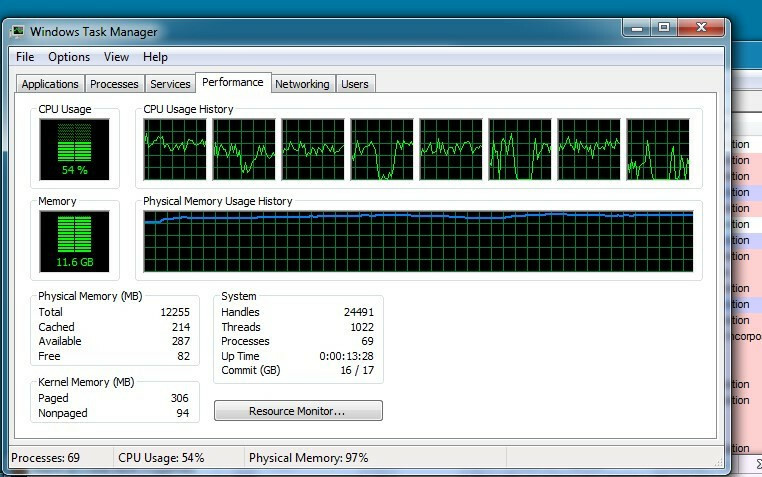 COD BLOPS3: needs more RAM than Chrome! why are people calling this the new crysis? Wont this just be patched in no time and then it will be just another call of duty game. Sales of COD games has dropped off since Black Ops 2 which generated $500 million dollars in sales on the first day of release but the franchise is still pretty strong. Last year COD Advanced Warfare was the best selling video game. 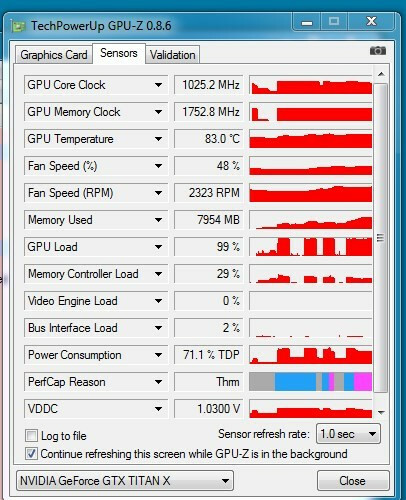 crysis never crashed me ... not even with a medium video card! Use a custom cfg and an HD texture pak and it looks absolutely (even more) epic! Crysis was one of those games that will go down in history for everything that it meant in terms of pushing visual fidelity. The game aged pretty well still looks awesome even for today's standards. well wasn't COD:Ghost RAM hungry (for the standard at the time) around 6gb needed or it wouldn't run? Holy cow... where they do find the coder monkeys? Or are they blind during testing phase? Does the game during intro show some logos like sponsored by Micron, Nanya or Samsung? It would explain a lot :D.
Yup Call of Dooty.... and I do mean Dooty.... I really wish they would just go back to keeping it simple like with CoD4.... it almost seems like they are the Apple of video games.... they add all these "features" that other games have used and executed better in previous titles but once CoD does it, it is all ohhhhhh mmerrrr gawwwddd melting my face...... etc etc... They are just very lazy. Console kiddies will gobble this up as always as that's the bigger market... but still... this series just needs to go away for awhile to give itself time to reinvent. They are just snagging and grabbing from other titles now. If only, they would just make a simplistic barebones shooter like the originals with a custom server browser.... I would buy it in a heartbeat. I thought I read it stutters on the GTX 980ti but that disappears with the Titan X? Oh I missed that bottom comment about 16gb of ram and the GTX 980ti working fine... Ok so we now have 6 Cards that can run it efficiently on Ultra. Eh yea, I actually like the Black Ops/WaW games just for the zombies personally as the multiplayer got to boring and pretty easy if you know the right ways to play it (Meaning right guns, positions, etc).